What do you do when life hits you with an unexpected wave? Do you keep your head down and ignore it? If you keep your head down your career can become like Blockbuster. Or do you raise your hand and embrace disruption? If you do, you will amaze yourself and you can innovate like Netflix. Unlike in a hurricane, when they send someone in a helicopter to rescue people who didn't evacuate, nobody is coming to save you. That is why you need to become the lifeguard of your own life. There is no such thing as a comfort zone and your life will probably be disrupted. When you become the lifeguard of your life, not only are you free of fear, but you realize that who you are is bigger than what happens to you. Watch the talk to learn how to do it so you can get off the self esteem roller coaster. P.S. Click here to get my free TEDx gift to you : Getting To Yes! From Invisible To Irresistible. 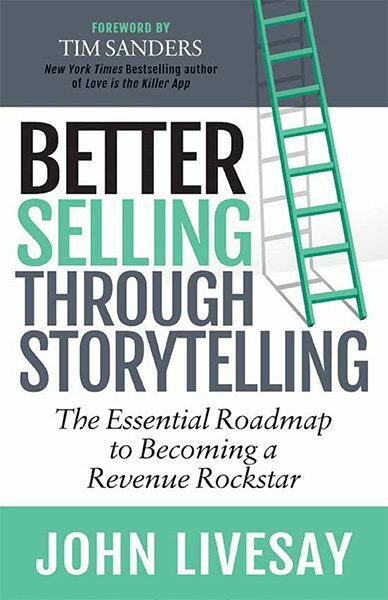 Sneak peek to "Better Selling Through Storytelling"